Whether you want to work for yourself and leave your desk job or travel the world, blogging makes it possible. There are thousands of bloggers who were able to leave their desk job behind, travel the world and make a full-time income from blogging. These things are possible for anyone to do and they are one of the many benefits of blogging. If you want to build a blog that no one reads, build a blog that talks about everything. Not picking a niche for your blog is the fastest way to lose the game. When you write about more than one topic, it becomes really difficult to promote your blog and build your audience. You might think that defining your niche may limit your blog’s growth but it’s the total opposite. When you don’t have a defined niche (a defined topic) for your blog, you will struggle to decide what you should do next to grow your blog. I Will Teach You To Be Rich: Ramit Sethi started this blog 10 years ago. He kept writing about personal finance and in only a few months his blog took off. He started getting interviewed on TV and Radio. The reason for his blog’s success was picking the right niche. Backlinko: Internet Marketing expert Brian Dean started his blog Backlinko and grew it to one of the most popular SEO blogs on the internet by talking only about Backlinks and SEO. The above graph is from a blog post Ramit Sethi wrote for Tim Ferriss’ blog. Ramit was able to make $5 million in only one week through his blog. If you want to turn your blog into a profitable business, you need to define a niche for your blog. Your niche doesn’t have to be Internet Marketing or Personal Finance. You could start a blog about Football or your favorite hobby say Cooking. The exact topic you choose for your blog doesn’t matter as much as choosing one and getting started. Don’t try to overcomplicate things by finding the market value, size, etc. Write down all the things you know about or are interested in learning. It could be anything personal finance, self-improvement, volleyball, programming, etc. Now cross out anything that doesn’t sound exciting enough. Keep crossing ideas out until you only have one topic on the paper. Most people waste way too much time deciding a name for their blog. Believe me, it doesn’t really matter at this point. Your blog’s name doesn’t have to be something cool or unique or different. Eric Barker started his blog Barking Up The Wrong Tree on the domain name bakadesuyo.com. It’s really difficult to remember and isn’t cool in any way. But it is a very popular blog that receives millions of readers every month. Eric was also able to publish a book under the same name because he started this blog. So, once again, the name of your blog doesn’t matter as much as starting a blog and building an audience. Stop Being a perfectionist. You aren’t tasked with naming a star or a planet. STOP wasting time here. Jon Morrow changed the name of his blog BoostBlogTraffic to SmartBlogger. This blog gets more than a million visitors every year. If he can do it, you can do it too. Don’t try to pick a cool name. If you want to use the word Hive, use Hive rather than H1ve even if Hive isn’t available. Creative names are not only difficult to remember they also make it difficult to build a brand in the long term. Keep it simple and short. The shorter the better. Short and sweet is easy to remember. Still can’t figure out a name for your blog? Just start a blog under your own name. Under your own name, you can write about anything you want. A blog named John Doe will allow you to change the topic of your blog at any time in the future unlike the domain name My Photography Blog, which will limit you to photography-related topics. Just pick a name and stop being a perfectionist. There are dozens of free and paid blogging platforms out there including WordPress, Joomla, Ghost, and Movable Type. People waste hours trying to figure out the best blogging platform for their blog. We recommend that you use WordPress. Because it is the easiest of all and it comes with all the features you will ever need. And if someday you want to add more functionality to your website, say an eCommerce page, you can do it by simply installing a WordPress Plugin. There are thousands of free WordPress plugins available that can help you add as much functionality to your website as you want. In this tutorial, we will guide you through starting a blog with WordPress. Web Hosting Provider: Websites are just a bunch of files. When you open Facebook.com in your browser, you are simply downloading the homepage file. You need a place on the Internet to put these files. This place is called a server. Web Hosting providers let you lease server space. Without this, there would be no website. Domain Name: Simply put, this is the name your readers will type into their browser. For example, Facebook.com or Google.com. You will need to buy a domain name that is spelled similarly to your blog name. For example, if your blog is called My Photography Blog, you will need a domain called MyPhotographyBlog.com. If finding and buying these two things sounds overwhelming, don’t worry. I will guide you through the process below. Rather than giving you a list of a thousand web hosting providers, I will recommend you go with SiteGround. They offer the best support in the market and are perfect for beginners. If you are just starting out, you will love their service. SiteGround’s plans are affordable and their services are very easy to use. In this article, I will now guide you through buying a domain and web hosting space from SiteGround. You can pick any other web host you like. The steps will be similar but I highly recommend you go with SiteGround because they are the best in business for beginners. I recommend the GrowBig plan. Click the Get Started button. Enter the domain name you would like to use for your blog. If your blog’s name is Aperture Photography, you should choose something similar to AperturePhotography.com. Keep it short and simple. Once you have entered a domain name, click the proceed button. Now, fill in all the details asked. These details will make up your account. It will take a few minutes for SiteGround to ready up your web hosting account and get your domain name ready. Wait a few minutes, then check your email for important details related to your account. Select Start a new website checkbox and then click WordPress. Now enter admin details for your new WordPress site. It will take a few minutes for SiteGround to finish setting up your WordPress site. Replace your-site.com with your domain name and visit that link. It’s the URL to your WordPress dashboard where you can manage your site. Now that you have a WordPress site, you need to change the default theme. Although the default theme looks good, it’s not optimized for blogging. It’s just a simple theme to get you started. Your blog’s design needs to grab the user’s attention and concentrate it on the content. If you want your blog to succeed, you will need a good design. Without a good design, no one will pay attention to your content. Although there are a lot of free WordPress themes available on the market, I like to use GeneratePress for all my websites. It’s one of the easiest to use WordPress themes and comes with all the features you will ever need. Most free themes don’t offer any customization options. But with GeneratePress you can change the design of your blog as much as you want. Now, there are a lot of premium theme developers on the market, but I recommend only StudioPress and MyThemeShop. Their themes offer a ton of great customization options. Then take your mouse over the theme and click the install button to install the theme. It will take a few seconds for the theme to install. Once the theme is installed click the Activate button on the theme you installed. This will activate the theme. Now, visit your website’s domain name to see what your website looks like. The only way to keep your motivation alive is to add some content to your site. That’s the page where your readers will get to know you better and (potentially) become your fans. It is filled with bloggers just like you and me. You can ask any questions you might have about blogging and professional bloggers will be there to answer. This is a very useful post for beginners. For people who are yet to start a blog, there is no better time than now. As every new year comes with new inspiration and new year resolution, creating a blog and working on to make it successful should be top priority in 2019. I liked that domain selection tips part, especially the one that says, “Stop being perfectionist”. I have seen many people spending lots of time in trying to be perfect – not only in domain selection but every step of life. But one shouldn’t waste much time in being perfect. And this one tip is not just effective for domain selection but at every step of life. I couldn’t agree more, Rahul. Ankit, I also want to start a blog this year and need your personalised support. Please add me to your Blogging group. You are right. I wanted to keep it short and easy to follow rather than bombarding and confusing them with the bunch of information altogether. It is a very useful article for the beginner who wants to create a successful blogging journey. 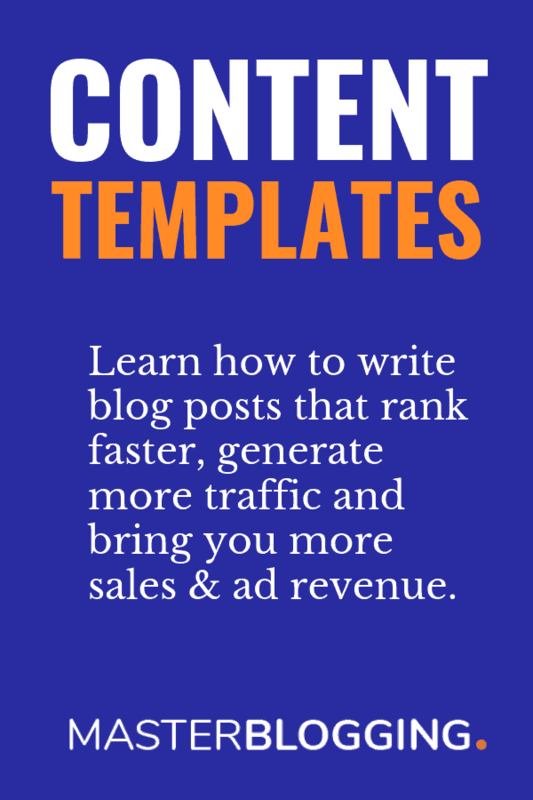 Both the tools (GeneratePress and SiteGround) are excellent for bloggers. Bro Please tell me how to add custom table of contents in wordpress posts like. U used in this posts. Hi Sanket, you can use Table of Content Plus plugin which is free. Else, create your own design with CSS like the one I’ve made for myself. Hey Ankit is there any blogging course available .so that I enhance me blogging experience.i learn a lot by your post .keep posting such a valuable content.keep it up. Hi ankit had few doubts for starting a new blog but after reading this article got full information and confidence to create and success my own niche…. If somebody take this blog article seriously in their life, he/she can earn his living by doing blogging, There are thousands ways to earn money through blogging. We can learn from Ankit He is only 26 years old but His success gives us a lesson. Thanks Ankit for the Article. Glad you liked it, Venkanna. Ankit, if my English is not good should I drop my plan to stop blogging or I should target problems that do not require in-depth detailing. Due to weak English, I am planning to move to other money making methods like affiliate marketing freelancing. English is the secondary thing. If you know your topic well and can explain it in a simple way, your readers will definitely appreciate it. Affiliate Marketing is great but note that to do Affiliate Marketing, you need a blog. So, start a blog, keep writing quality articles and your writing will improve with time. Any thoughts on Jupiter theme and thrive themes? Really, this blog post would be more helpful for beginners struggling to start a blog. Being a professional blogger and the pathway you come across, every idea you provided here will be proven one. I go with your words. Great! You know, it took me years to learn the things and I learned them the hard way. Lots of trial and errors. So, I wanted to help the people who are planning to start their blog and I hope this guide will actually help them.